Healthy pool water is balanced with a pH of 7.4—and this pH along with chlorine levels should preferably be tested on a daily basis before the first swim of the day in commercial pools, and at least weekly in residential pools. pH can fluctuate because of rain water, the biggest factor, and from dirt and debris entering into the pool. Bather load (the number of swimmers at one time) also impacts pool water pH and can cause it to become more acidic or alkaline. It’s critical to bring pool water back into balance so it is safe and sanitary. Chlorine: Chlorine is what sanitizes the pool and gives it a blue, clear appearance. Chlorine kills bacteria, thereby disinfecting the pool and providing a safe environment for swimming. Without chlorine, your pool would get cloudy and become a cesspool that harbors bacteria and disease. We’re not kidding—imagine a bathtub with 10 people in it. You probably wouldn’t want to test that water, let alone swim in it. Chlorine is absolutely essential for creating a safe, sanitary pool. Some pools have saltwater chlorine generators that produce chlorine, and those should be monitored carefully in case more chlorine needs to be added to water. Chlorine tabs are also available, and these release chlorine gradually and are dispensed through feeder systems. Muriatic Acid: Following a pH test, we may learn that the pool water is acidic. If this is the case, we add muriatic acid to bring the pool water back into balance. Muriatic acid is safe. When the pool water pH is higher—above 7.6—you may notice the water becoming cloudy. Muriatic acid brings the pH to the proper level, thereby clearing up the water so it is not only safe but appealing for swimming. Sodium Bicarbonate: When water is alkaline, or has a low pH, sodium bicarbonate can raise the pH level. Is sodium bicarbonate safe? Absolutely. It’s baking soda, a natural substance we use for green cleaning and baking. The form we use for pools works hard to maintain balanced pool water. Calcium: Calcium helps protect the pool shell by filling in hairline cracks, and it gives a balanced pool water that sparkle that is so inviting that swimmers can’t help but wade in. Calcium is a completely safe chemical that works to benefit the pool structure and create an appealing environment that’s perfectly safe for babies, children, pets and adults of all ages. Stabilizer: We add stabilizer to pool water to help hold chlorine into the pool. Cyanuric acid (CYA) prevents the sun’s UV rays from degrading chlorine—and in sunny South Florida, CYA is essential for maintaining safe, balanced pool water. Stabilized chlorine products like chlorine tabs that are gradually dispensed through a system do not require adding more CYA. Pool chemicals are safe because they work in harmony to create water that is sanitized, disinfected, the correct pH and simply comfortable for swimming. How Long After Pool Cleaning Should You Wait Before Swimming? On residential properties where a CPO pool cleaner is visiting weekly to perform service, you should wait one hour after cleaning before swimming. This allows the pool water to completely turn over through the filter. As for commercial pools, many include automatic chemical feeder systems that gradually release chemicals to ensure the proper water pH and chemical balance. With these feeder systems in place, you can swim at any time, including immediately after cleaning. Who Do You Trust To Maintain Your Pool Water Quality? When pool water is not properly balanced, that’s when you run into issues like bacteria growth, the presence of microorganisms, and other “nasties” that can actually make you sick. Disease can be transmitted through dirty pool water—and that’s why chlorine and the pool chemicals we described here are absolutely critical for maintaining the health and safety of swimmers. Pool chemicals are the “good guys” that keep water sanitary, bacteria-free and safe. So, if you are concerned about adding chemicals to your pool, rest assured they are not only safe—pool chemicals are essential. You just wouldn’t (and shouldn’t!) swim in a pool without them. 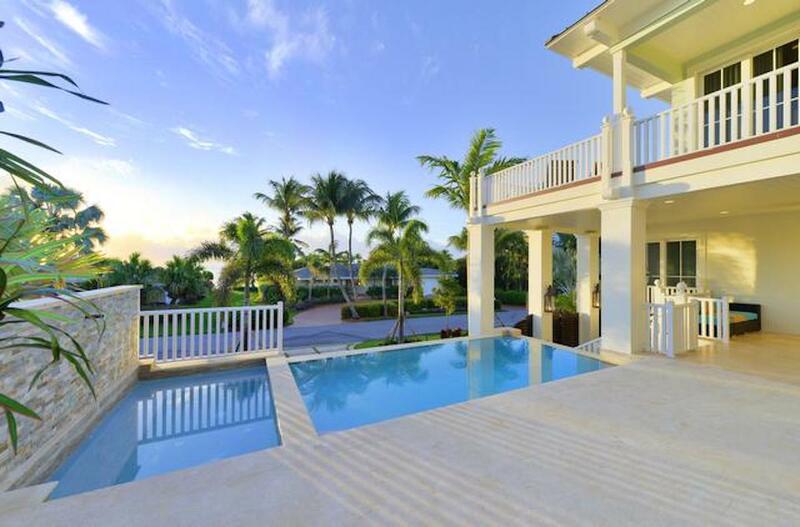 Reef Tropical provides comprehensive pool and spa maintenance that not only saves you time, but ensures that your pool and spa is sanitized correctly, that equipment is cared for properly and that any costly issues are caught early. 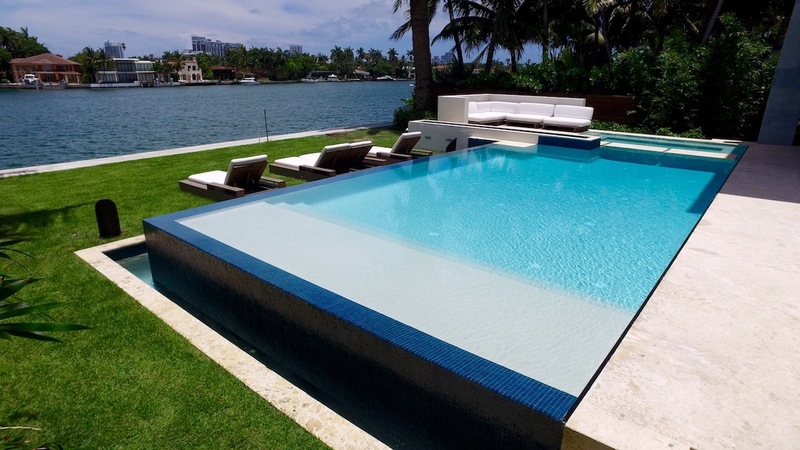 We take pride in our highly knowledgeable team of certified professionals that maintain luxury pools in South Florida and The Keys. Let’s make sure your pool water is safe, sanitary and balanced. Call us any time at 305.367.2005, or fill out this simple contact form and we’ll get in touch with you.